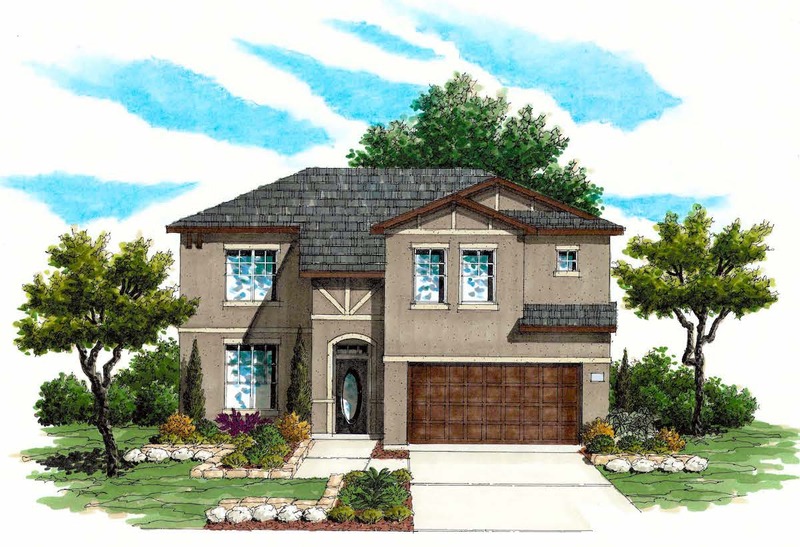 The two-story Wimberley floor plan features approximately 2,696 square feet of well-designed living space suitable for your family’s needs. The kitchen is highlighted by an island, abundant storage space and stainless steel appliances. The breakfast area and family room are open to the second floor game room for maximum socializing. The secluded first floor master suite includes a private master bath with garden tub and separate shower and a large walk-in closet with linen storage shelves. Additional bedrooms and bath are located on the second floor of the home along with a convenient utility room. Make this plan really yours by adding a study, a master bath mudset shower with drop-in tub, a fireplace or a covered patio.